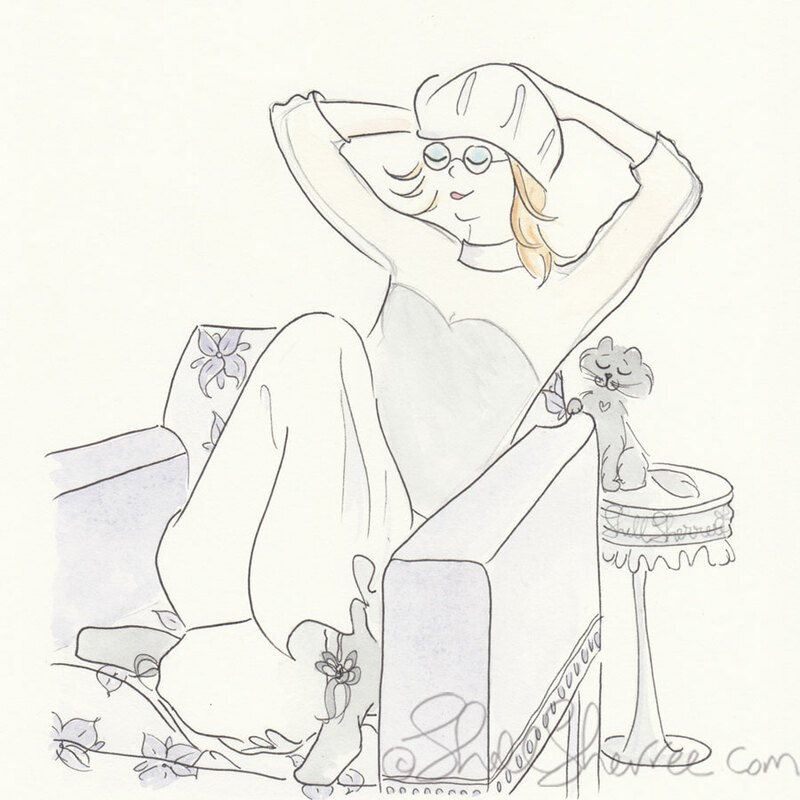 Someone once likened me to Diane Keaton. As I'm not tall in stature, I have a feeling this observation owed more to my oft-circuitous conversational path than to appearance. To be fair, I leave a good breadcrumb trail that's easily followed if you keep your wits about you. But keeping a bag of trail mix in your pocket isn't a bad idea. PS: Looking for something special for the animal lover in your life? Click the Contact link on the menu to enquire about an illustrated portrait. One of a kind for one of a kind. Too adorable for words!